Loaded with Omega-3, fibre, calcium and magnesium, these no bake treats make a healthy anytime snack. 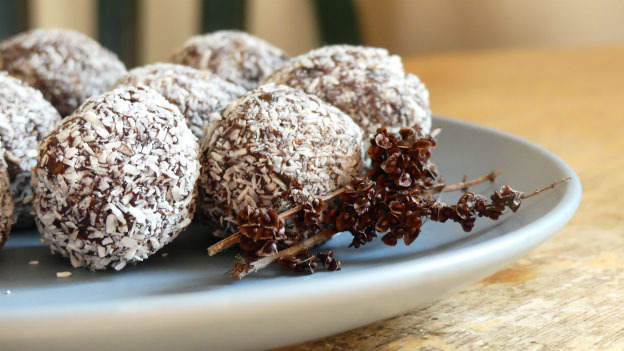 >> Shredded coconut (sweetened or unsweetened) for rolling. Place dates and coconut oil in a food processor; process until you have fine, sticky crumbles. Add the cacao powder, honey and all seeds; pulse until well blended. Create small balls using the palms of your hands. Roll them in the shredded coconut. Store in the refrigerator for a maximum of 10 days.